Wellies or sandals? Sun hats or bobble hats? T shirts or woolly jumpers? These were some of the decisions the Living with Cancer Strollers had to wrestle with prior to August's monthly walk, since the weather had been unpredictable in the days before. Luckily, the sun shone, as it always seems to do on the first Thursday of the month! 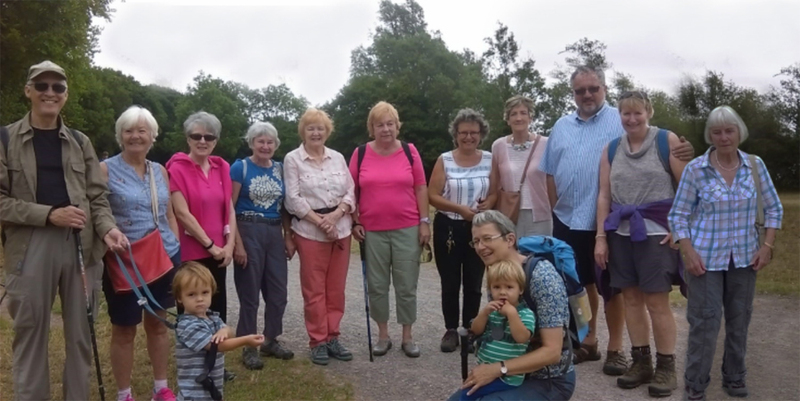 The strollers welcomed some new members and for this August stroll the group ranged in age from 2 years to 80 years. We are truly inclusive! The two year olds were helped on their way, and did stop off in the park, but everyone else completed the walk around the two lakes. Some visitors from Cairo encouraged people to remember their holidays in Egypt. Hips, knees, feet and other body parts were also topics of conversation! As you can see in the photos, lots of talking goes on with the walking!! The cafe was a welcome resting place and a chance to refuel after all the calories burned up on the walk! Join us in September. Cosmeston at 10:30. All ages welcome!